The apartment was spotless, amazingly spacious, fab bed, excellent location and very helpful and pleasant staff. Will definitely be back. Was excellent value too! Easy access with good security. Supermarket (Tesco) close by. Staff very helpful. Very friendly and helpful staff, secure parking, comfy beds. Good location and comfortable beds. Clean apartment. Friendly, helpful staff. The apartment was very spacious and the staff were extremely helpful. Staff were able to accommodate a change of room. Kitchen was nice, even if we did not make use of it. Apartment very spacious and perfect for weekend getaway. Really liked how central the apartment was and had easy access to train station. Also really appreciated that staff member let us leave bag while we went for breakfast on the morning of us checking out. Nice and clean. Compact and more than served its purpose. Great little place, would stay again without hesitation. 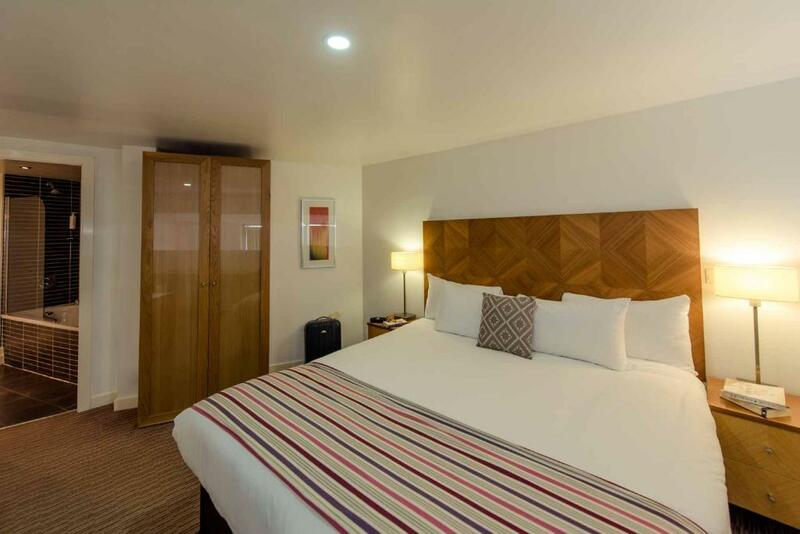 Lock in a great price for PREMIER SUITES Liverpool - rated 8.9 by recent guests. 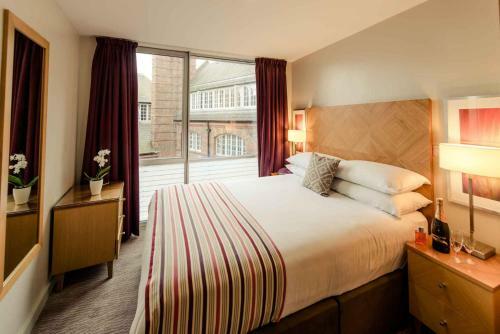 The PREMIER SUITES are in Liverpool's Garden Quarter, just a 20-minute walk from the famous Albert Dock. Lime Street Station and the Cavern Club are both within a 10-minute walk. Each spacious apartment features a living area with a flat-screen TV and a work desk. 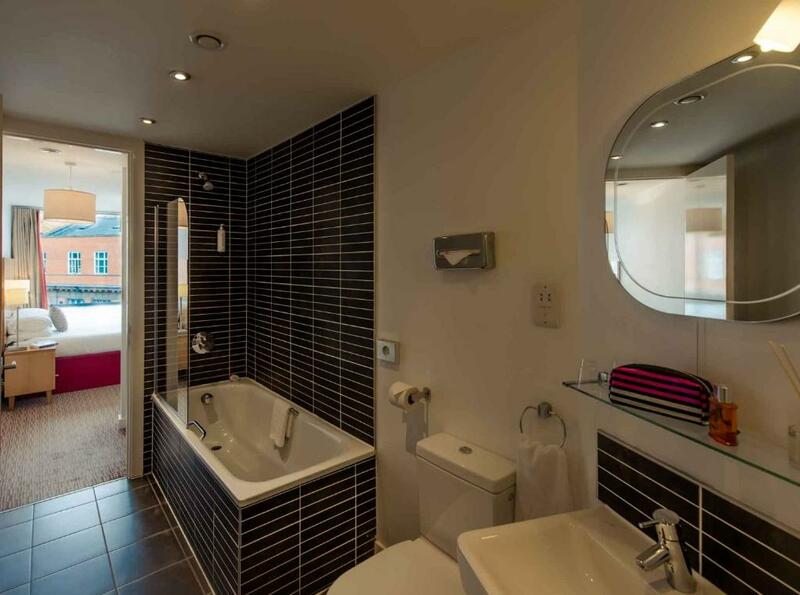 Wi-Fi is accessible throughout, and all apartments have a luxury bathroom with free toiletries. 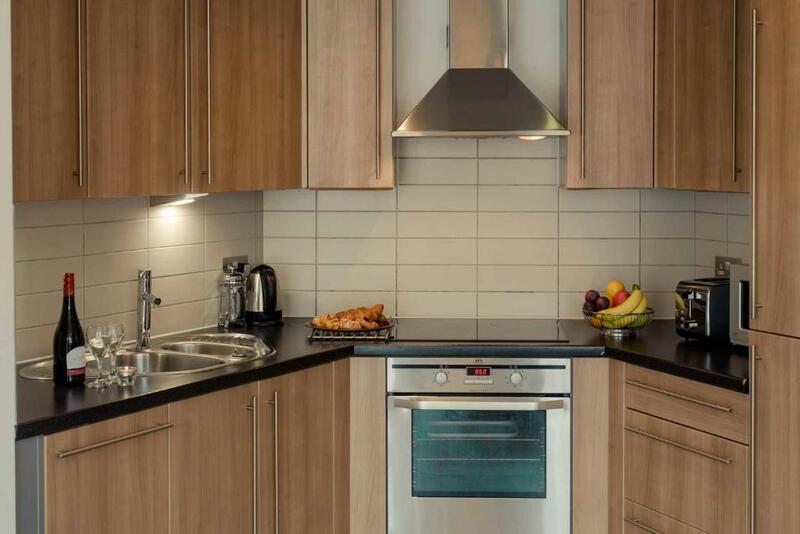 The fitted kitchens have an oven, microwave and refrigerator, and there is also a dining area and laundry facilities. Guests receive a welcome pack with tea/coffee, biscuits, milk and sugar. 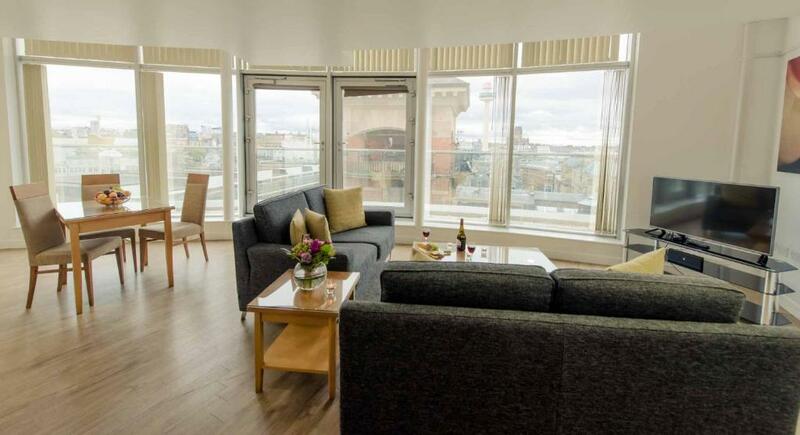 PREMIER SUITES Liverpool has been welcoming Booking.com guests since 13 Apr 2007. When would you like to stay at PREMIER SUITES Liverpool? A one-bedroom apartment with a double bedroom, an en suite bathroom, an open-plan living/dining area with a flat screen TV, and a fully equipped kitchen with crockery, glassware and utensils. Public parking is possible on site (reservation is needed) and costs GBP 15 per day. A two-bedroom apartment with 2 double bedrooms, 2 bathrooms, an open-plan living/dining area with a flat screen TV, and a fully equipped kitchen with crockery, glassware and utensils. The Penthouse Apartment is a 7th floor duplex apartment, with an open-plan design with a balcony, lounge with feature floor to ceiling windows, a double bedroom with en-suite bathroom, a living/dining area with TV and direct dial telephone with data port/internet access. 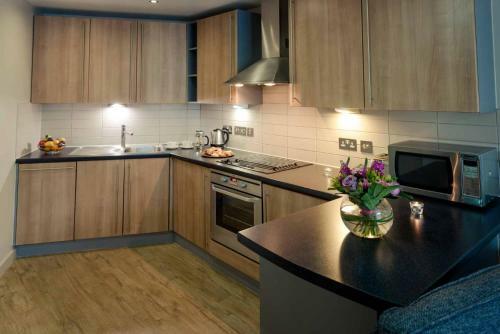 Apartments come with all linen, crockery, cutlery and glassware. No twin beds possible. This apartment is a 7th floor duplex apartment with an open-plan design with balcony, lounge with feature floor to ceiling windows, two double bedrooms, two en-suite bathrooms, living/dining area with TV, and direct dial telephone with data port/internet access. A beautiful glass teardrop shaped building makes for an individual stay, each apartment being slightly different in shape due to the quirky building! Located in the business district, on a quiet one way street and only a 5 minute walk into the Centre. Find the original 'Lambanana' just at the top of our street - Lots to explore from PREMIER SUITES Liverpool! House rules PREMIER SUITES Liverpool takes special requests - add in the next step! PREMIER SUITES Liverpool accepts these cards and reserves the right to temporarily hold an amount prior to arrival. Reservations for 5 or more rooms will be considered a group booking. For these reservations, 50% deposit will be taken at the time of booking, and will be a nonrefundable deposit. A security deposit of GBP 250 is required upon arrival for incidentals. This deposit is fully refundable upon check-out and subject to a damage inspection of the accommodation.Please note if the booking is for the same day arrival the security deposit can only be paid by card along with photo ID in the same name as the cardholder. Please inform PREMIER SUITES Liverpool in advance of your expected arrival time. You can use the Special Requests box when booking, or contact the property directly with the contact details provided in your confirmation. Good size apartment with decent living and dining area. Bedrooms a little tight to bring in the suitcases. The washing and drying machine made doing laundry convenient for the trip. Helpful front desk staff. Apartment meant for four people but not enough crockery, only basic utensils. Noise from outside made it hard to sleep. The customer service at Reception is exemplary. First room was too small for 4 people, one sofa for two. Living area was very small and disappointing for a “penthouse”. But staff moved us to a better room. The apartment was clean but was in need of an update in places. Given the price we payed the apartment was very tired. Cleanliness wasn’t good (dirty windows) and the kitchen lights were broken. Kitchen cabinets were shabby. Very disappointed as this was the penthouse! !